A versatile violinist, Ms. Yuri Cho gave her first performance at age 10 at the winner’s concert of Korean Newspaper Music Competition in Seoul. Since entering the Menuhin School, she had the rare honor to perform the Brahms sextet with Lord Menuhin in Buckingham Palace at age 15 and was selected as a soloist and a Concertmaster of the Yehudi Menuhin Orchestra in the 1993 Europe tour with Lord Menuhin conducting. Since then, her engagements have taken her throughout England, Europe, and Korea with orchestras such as the Cambridge Symphony Orchestra, the Korean Symphony Orchestra, the Beethoven Society Orchestra, the Redhill Symphony Orchestra, the Surrey Philharmonic Orchestra, and the Menuhin School Orchestra. As a recitalist, she was presented in Buckingham Palace, Queen Elizabeth Hall, Purcell Hall, Barbican Center, and in cathedrals, and churches throughout Europe and England. In 2000, Cho was selected and presented by the Eastman School of Music to play a New York recital debut at Carnegie’s Weill Hall sponsored by the Messenger foundation. Cho has been the recipient of many prestigious awards and honors. They include: first prize of the Han-Kook Violin Competition, sponsored by the Korea Times Newspaper, Ewha & Kyunghyang Concour, Surrey Symphony Orchestra Concerto Competition, Yong Performing Artist Series’ Recital in Seoul Korea, the Young San Art Hall Recital Series sponsored by The Music Critics Association of Korea, the winner of the Louis Peskai Competition at the Guildhall School of Music and Drama in London, winner of the Redhill Symphony Orchestra Concerto Competition, and winner of the prestigious Eastman School of Music Performer’s Certificate, to win in the same year the Eastman Concerto Competition performing Stravinsky’s Violin Concerto with the Eastman Symphony Orchestra. Cho began her musical education at the Yehudi Menuhin School. She also earned a Bachelor of Music degree from the Guildhall School of Music and Drama and a Master of Music degree from Eastman School of Music. She has completed all of her coursework for Doctorate of Musical Arts degree at the Eastman School of Music, where she was also a teaching assistant of Zvi Zeitlin, Distinguished Professor of Violin. From 2010–2011, she was a lecturer at the Myung Ji University and Kook Min University in Seoul, Korea. 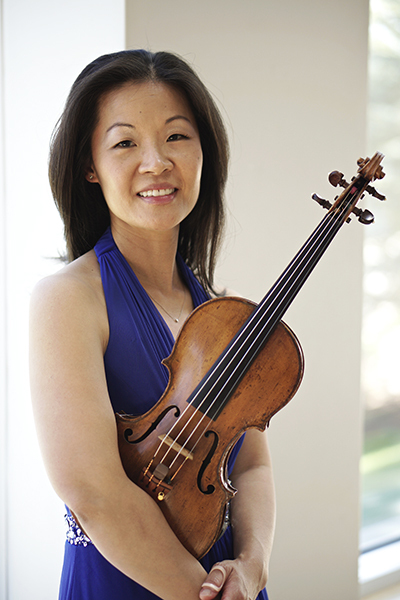 Korean-American violinist and pedagogue, Susan J. Kim, studied with Sally Thomas and Joel Smirnoff at The Juilliard School, where she earned her Bachelor and Master of Music degrees in violin performance. During her studies at The Juilliard School, Dr. Kim won the concerto competition and performed the Tchaikovsky Violin Concerto with the Juilliard Symphony. She was also the recipient of the Charles Petschek Award and the Michael Cohen Scholarship, given to exceptional students based on their musical performances. Dr. Kim has performed as a soloist, chamber musician and orchestral member across the United States, Canada, Germany, Japan, and South Korea. She has worked with distinguished artists such as Joseph Gingold, Charles Castleman, Roland Vamos, Stephanie Chase, Mitchell Stern, Steven Doane, Charles Reiner, and Gibert Kalish, as well as members of the Vermeer and Juilliard string quartets. In pursuit of becoming a music educator, Dr. Kim received a Doctorate of Education from Teachers College of Columbia University. Since then, Dr. Kim has published articles in the American String Teachers Journal and the String Research Journal, and has presented her research at the American String Teachers Association national conference. Before joining the faculty at Gordon College as Assistant Professor of Music in 2010, Dr. Kim was a member of the violin faculty of the Preparatory Division at the Mannes College of Music in New York City. A renowned pedagogue, Dr. Kim’s students have won numerous awards and prizes in international competitions and have been accepted to top music institutions. She also serves on the faculty of the summer Blue Mountain Chamber Music Festival in Lancaster, Pennsylvania. 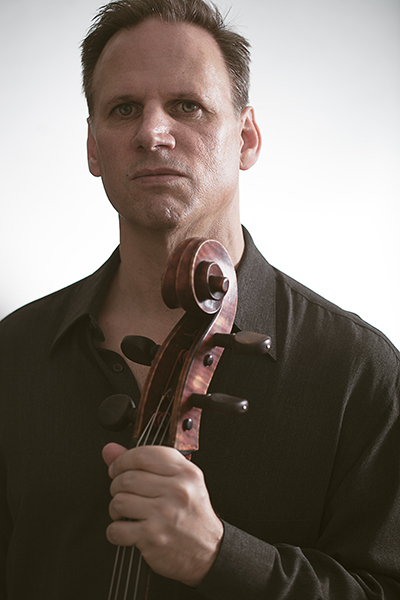 During summers, in addition to The Festival Internacional de Deiá, in Spain, and The Adriatic Chamber Music Festival in Italy, Smith has taught and performed in several music festivals, including the Marrowstone Music Festival, Festival Mozaic in San Luis Obispo, CA, the Rocky Ridge Music Center, the Blue Mountain Festival, Dakota Chamber Music, The Green Valley Chamber Music Festival, the Tuacahn Summer Arts Institute, and The Las Vegas Music Festival. Las Vegas native, Brycen Ingersoll, is quickly becoming a rising star in the double bass world. At the age of 16, Mr. Ingersoll made his solo debut with the Las Vegas Philharmonic performing Sarsate’s Zigeunerweisen. As an orchestral player, he has performed as a substitute with some of the top American orchestras including the Nashville Symphony, Sewanee Symphony, the Cleveland Orchestra, the Firelands Symphony, and the Akron Symphony Orchestra. 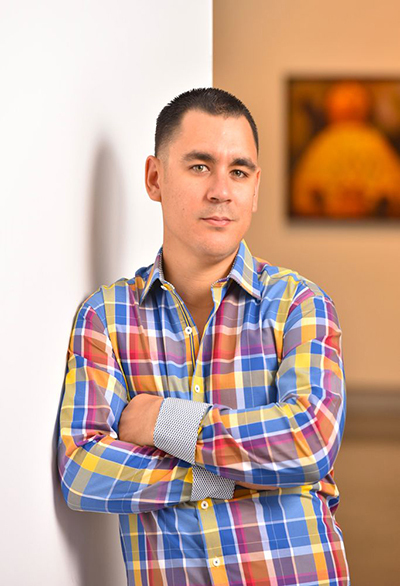 A versatile artist, Mr. Ingersoll is equally fluent in a diverse range of genres and styles. During his time in Nashville he recorded with The Nashville String Machine, Chris Botti, David Foster, James Hannigan, and Jason Graves in many studios within the famous Music Row. Mr. Ingersoll received his Bachelors of Music from Vanderbilt University studying with Joel Reist and Edgar Meyer. He later received his Professional Studies Diploma from the Cleveland Institute of Music studying under Scott Dixon. He has additionally studied with Bruce Bransby, Eugene Levinson, and Jeremy Kurtz. 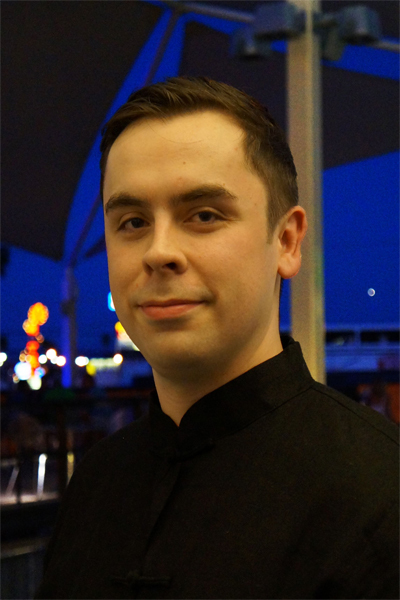 He is currently the classical bass instructor for the University of Nevada, Las Vegas.